After Mike left for work today I started surveying the landscape of the house. Cabinets were opened, piles were made, and bins were sifted through. What was I looking for? Props. Why did I need props? For a photo shoot of course. When I was a photo student, my photo shoots would involve many people. Some were models, some were extra sets of hands and others were merely onlookers. The images from these photo shoots often told elaborate stories, most resembling pictorial soap operas. There would be make-up, costumes, props and sets, resulting in several hundred images for me to sift through, retouch and ultimately tell my little soap operas through. 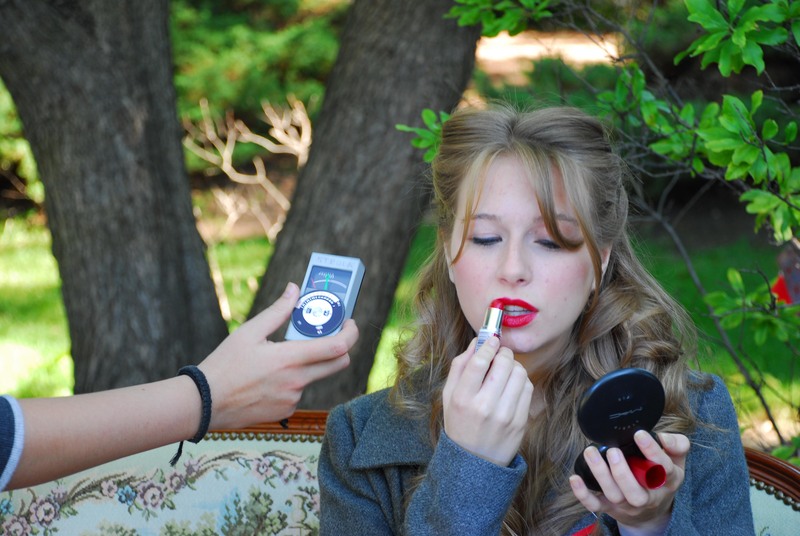 A photo shoot about a photo shoot – and several love triangles of course. 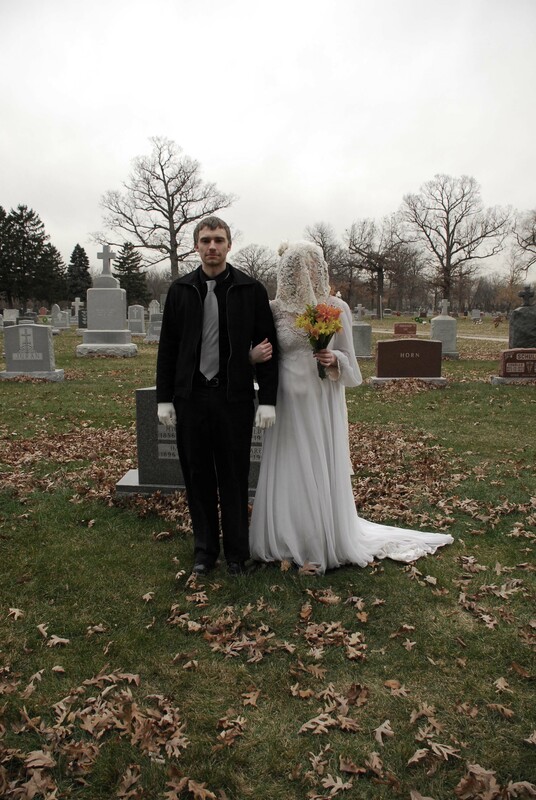 One of the three photo shoots that I did in a graveyard – naturally there’s a love triangle in this one too. I’d like to think a few things have changed since those photo shoots (it’s been 5 years since the above two images were taken). My retouching skills are very much superior to where they were in college (in fact, I had to stop myself from re-retouching those two images before posting them to the blog just now). My photo shoots are far less public, in fact, usually I’m the only one who knows that they’re going on. Just like the lack of helpers and onlookers, the sordid tales and soap operas are long gone too. The locations are far less diverse, pretty much always confined to various rooms inside wherever I happen to be living. And the models are not people, rather they are various pieces of paper. You may be wondering if I’ve lost my mind. Who constructs photo shoots centered around paper after all! Well, you may have heard that I know a thing or two about designing stationery, but that’s just hearsay unless I have a way of showing my creations to the world. Sure I’ve got some on display in my home office, but since Mike and I are usually the only two people spending much time up there, they’re not doing much promotional good. 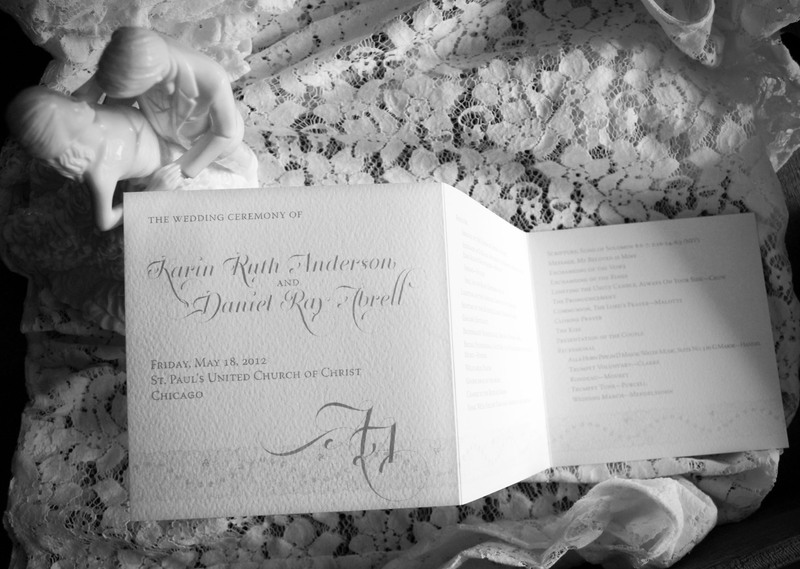 And while snapping a photo of an invitation may seem simple, to make one’s images compelling takes much more than that. I prefer to work mostly with natural light, which limits when I can take pictures significantly. By the time I get home from work the angle of the sun is too extreme if there’s any sun at all. And weekends during the wintertime tend to be quite overcast. So most of my winter work goes unphotographed until spring. By then I’ve accumulated quite a bit to shoot, so unless I’ve got a day set aside, it’s usually not happening. 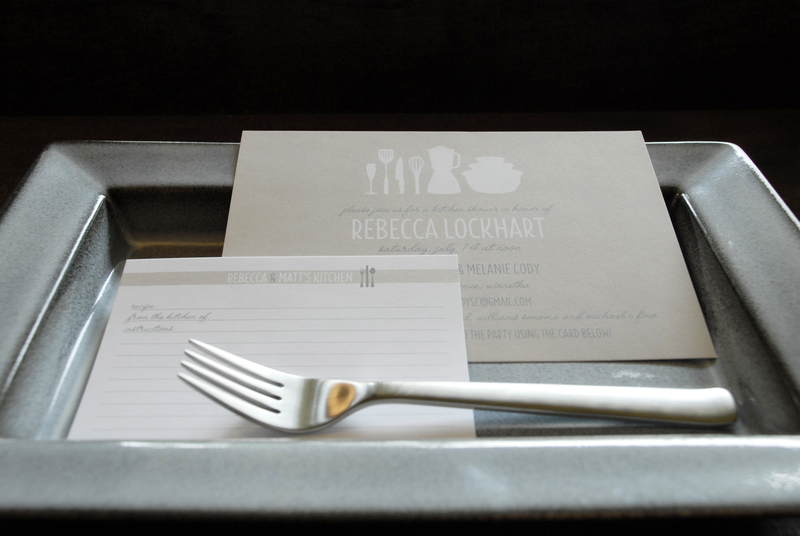 My last stationery photo shoot was in March, and while I got a whole slew of new photos posted to Studio255’s website, I still had a large pile of unphotographed work. This Saturday was the perfect day to shoot as much of the rest of my work as possible. Mike was at work, so I’d have the house to myself to run around and make a mess of. The rest of my family and most of my friends were out and about so I didn’t prioritize spending time with them over photographing (spending time with people you care about needs to come first). And it was really hot outside, so I had zero desire to leave the house after my morning trip to Paper Source. To say I made a mess is an understatement. I shot and retouched images for 6 hours, and when I was done I looked around and got a little drained just seeing the state of the house. Kitchen cabinets were wide open, piles of serve wear sat on the counter. Whole place settings were assembled on the dining room table. Shirts and a bath sheet lay strewed across the couch. The living room table was covered in miscellaneous objects ranging from candlesticks to bandaids. And there were piles of stationery everywhere. I’m not sure why I’m referring to all of this in the past tense, as of right now, it’s all still there! After this blog entry, I have to go clean up. The list of props that I used today was pretty incredible. A lot of wedding gifts made an appearance (I bet you didn’t think I’d be using my place settings for more than just hosting company and my large wooden serving tray worked overtime being a backdrop): 1 domed cake stand, 1 wedding cake topper, 3 necklaces, 1 strand of beads from Dream Interior, 6 vintage highball glasses + 1 matching pitcher, 4 band aids, 1 wooden tray, 1 swiss army knife, 1 roll of medical tape, 12 generic cold medicine white pills, 1 cheese tray, 1 wedding ring, 1 table runner, a bunch of confetti in 3 colors, 1 chair, 3 different types of place mats, 1 salad bowl, 3 plates, 1 mug, 1 spoon, 3 shirts, 8 candlesticks, 1 pizza cutter and 2 forks! Wedding program. The most notable prop here: The cake-topper from my wedding. Save the Date. Photographed on one of the place mats from my registry, next to some pearls that I brought back from when I spent the summer in Florence. 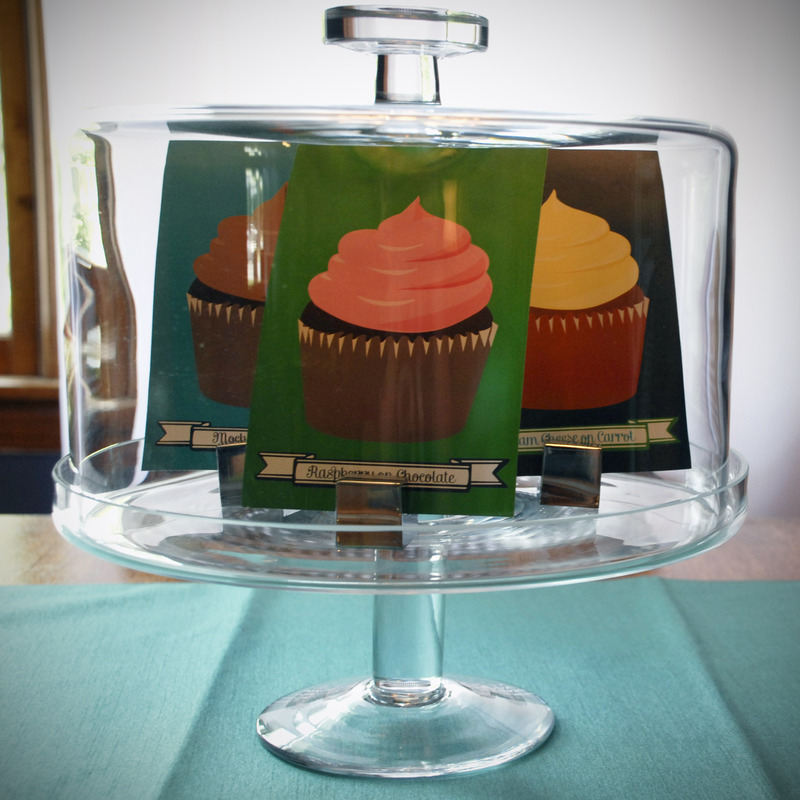 The Cupcake Labels from my wedding. Photographed inside the domed cake stand that Grandma Lois gave us! 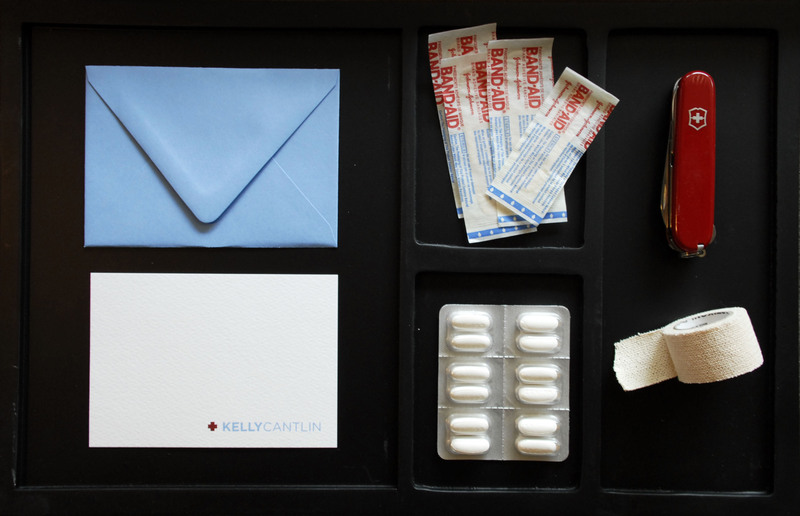 Personalized Stationery for a nurse. Probably the most obscure props of the day were included in this photo: supplies from our medicine drawer and my Swiss Army knife from my dad, all photographed on a cheese platter from Andrea’s mom. Kitchen-themed Wedding Shower Invite paired with matching Recipe Card sitting atop a platter from my friend Julie Larkin. 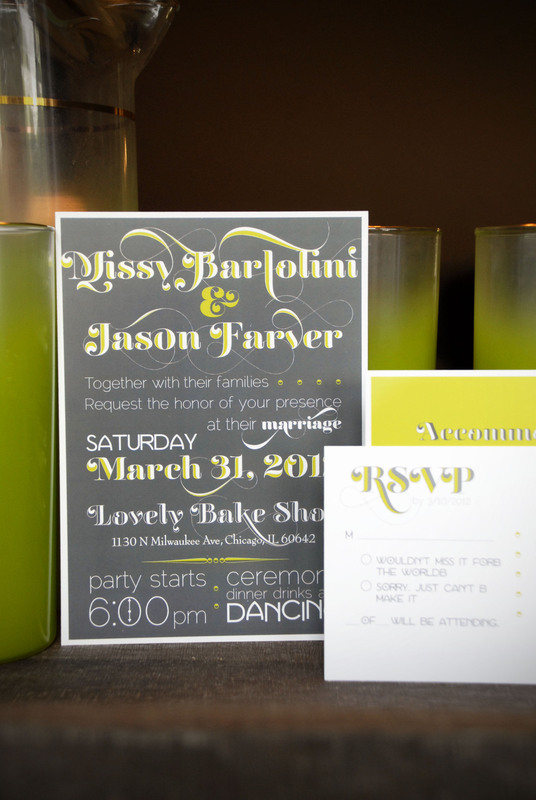 Full Wedding Invitation Suite. A few of my Florida-readers may recognize those vintage highball glasses with the matching pitcher, they came from my grandmother Mimi’s collection! I apologize dear reader – I’ve been slacking these past couple weeks on my writing 😦 To say that June has been anything but busy would be an understatement. While Mike’s been able to forge ahead and make some more house-related progress (more on that in a few paragraphs), I’ve been pretty heavily focused on sleeping through the night (oddly enough not happening lately) and working on Studio255. The physical space that is my office is almost complete sans a few supplies, finishing my wall-art installation and purchasing an additional chair. I’m so glad to have my office in a state of harmony because it’s left me more mental room to focus on the actual work. While the last of my Spring weddings happened this past Saturday (Congrats Jenna! 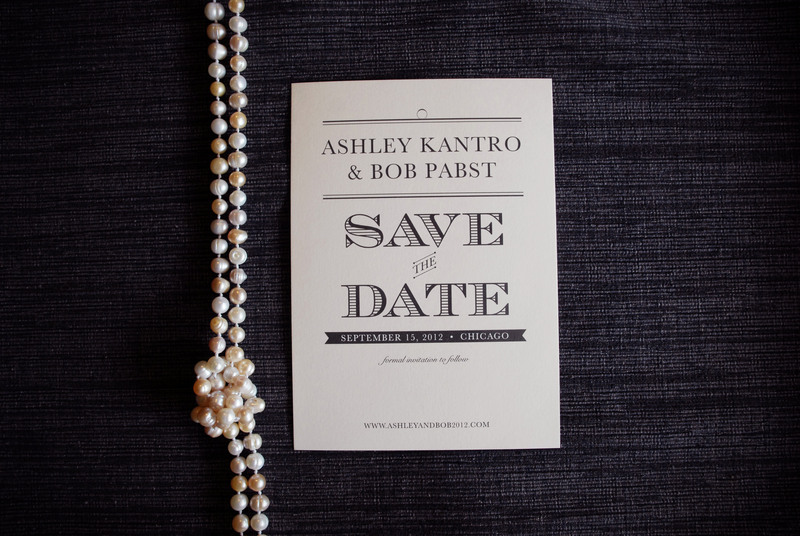 ), it’s now crunch time for getting the Fall invitations ready to mail next month. I’ve got three weddings for September in the works and one for November! As well as finishing writing my own wedding thank you notes (I swear they’re actually going out – steady as she goes, right?). So now onto the real hero of this story: Mike. He’s been making some nice forward movement on some home-related projects! Currently his focus is the interior of the garage. Last week Mike hung a pull-up bar in there (he assures me that when he does pull-ups the whole garage ceiling doesn’t sway – even though I’ve seen it for myself… and it moves). This week he’s been working on building an automotive tool station in the back of the garage, as well as a floor for the rafters. Inside the house, Mike installed a threshold (or transition) between the hardwood floors of the hallway and the tiles in the bathroom, hung the mantle and a painting. This past week we also found a solution to the “we don’t like our overly large red couch” issue. Thanks to Mike’s parent’s, we’re getting a new couch-looking frame and cushion cover for the futon that we obtained from my brother-in-law. That should make it look nice enough to be considered a couch in place of the big red disaster. That’s coming in mid-July, so stay tuned. We should also have the canvases that we’re having made for the dining room by then as well! It is upon a heavy heart that I relay the official news of the disappearance of Momma Robin. Either she’s the robin that I buried a few weeks ago or she’s the murderer of the deceased robin, and has since fled the scene of the crime. 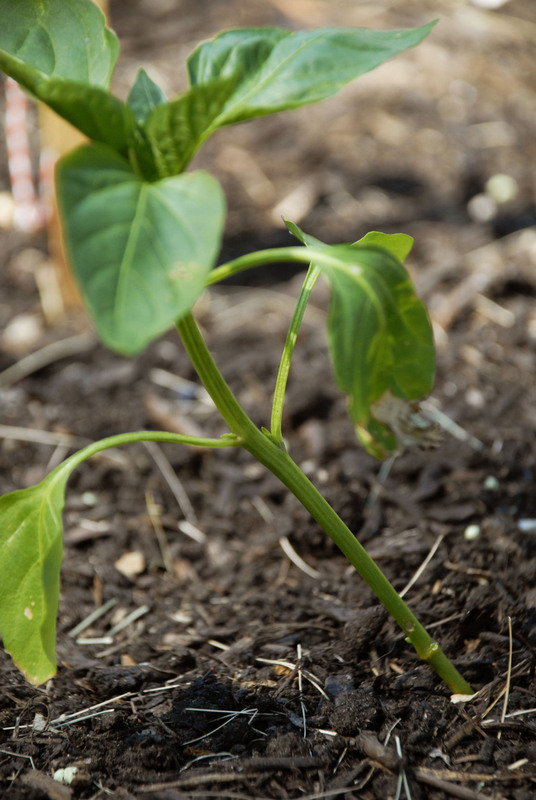 The vegetable garden is moving forward in full force – mostly with the pumpkins, arugula and beans. More on that to come. Well, it finally happened. Mike and I officially pay all of our own bills as of today, sigh. Don’t get me wrong, we’ve been paying our own bills for quite some time, except for our cell phones. Both of us were lucky enough to remain on our family’s cell plans after we graduated college. Mike woke up yesterday and noticed that the screen on his cell phone was really, really dim. Since it just kept getting worse, we decided he definitely needed a new phone before the screen went totally dark, which meant that it was time for us to put on our big kid pants and get a family cell phone plan of our own. When we called Helene to inform her (we needed her to accompany us to Verizon to get me off of her plan) you could hear the smile radiating through the phone (she hates how high her Verizon bill is). So after a trip to Mike’s parent’s house to pick up a copy of their cell phone bill (to reference how much minutes/data/texts he uses and to get all of the account information) we were on our way to Verizon. I was bummed upon arrival to find out that I wasn’t eligible for a new phone until late August, but at least Mike was able to get one (the whole point of us going anyways). The rest of the process was pretty painless. After looking at our parent’s phone bills, we decided that we didn’t need unlimited everything – so that saved us a ton of money. And best yet, on June 28th, Verizon is making it so that you can combine data plans! Since Mike and I don’t even use the minimum data amount between the two of us, this is going to save us $30 a month when we merge our data plans on the 28th. Needless to say, we’re happy about that. We were also pleased to find out that the company I work for has a discount set up with Verizon that saves us 8% on our phone bill each month. Even Helene made out well from our little trip. Not only did she get me off of her phone plan, but she found out that my Dad’s company is also eligible for the 8% discount. Additionally, having me off of the plan meant that she could decrease the amount of shared minutes (I’m pretty much the only one who regularly chats on the phone apparently), and she too found out about the merging data plans on the 28th. Helene left the Verizon store with her monthly bill almost $100 lighter. While this means an extra $130/month out of our pockets – I suppose this is a pretty significant step for us as now we’re completely independent. Mike and I sat down today to have a status talk about the inside of our house – a what do we have left to do sort of discussion. Aside from a few little things here and there, it’s mostly just getting art on the walls left for this summer – and possibly a piece of new furniture this summer, followed by, fingers-crossed, another new piece (couch) in the fall. When I came home from work on Friday, Mike had already left for work. One of the first things that I noticed upon entering the house was that he’d hung up the mantle that’s been lying around the dining room since we moved in (I realize that I make it sound like it’s been years, but sometimes it sure feels like we’ve been here for so much longer). When I called him to thank him, he pointed out that he didn’t even have to touch up the paint – and had located two studs in the wall! It looks really great. This means that the dining room is almost complete. Eventually I’m sure we’ll get a new dining table, but for the time being the one that we procured from my brother-in-law gets the job done. 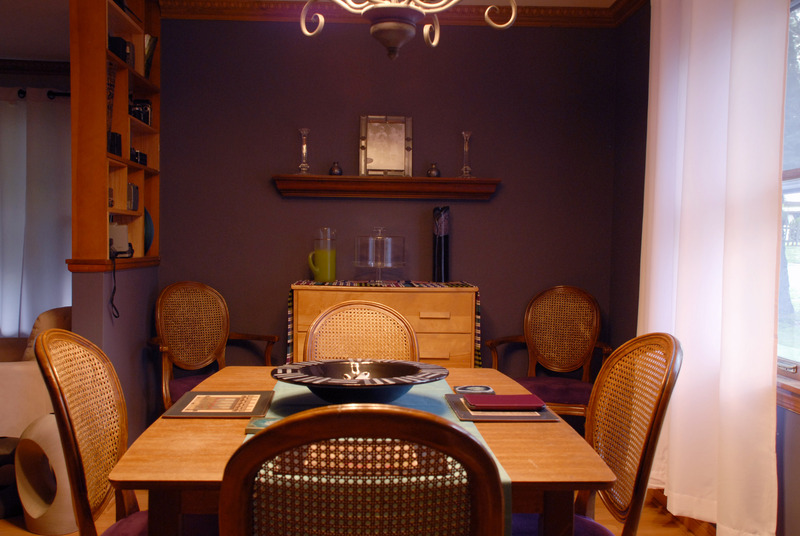 What’s left on the to-do list is to hang up a couple pieces of art on the walls and purchase something to put our china/nice stemware in. It never ceases to amaze me how fasts plants grow. Seemingly overnight second sets of leaves can appear. I check the vegetable garden twice a day, before I leave for work and then again as soon as I get home. Weeds grow equally fast, so this helps to stay on top of them, making my weekend work on the vegetable garden, roughly the same as my weekday work on it. 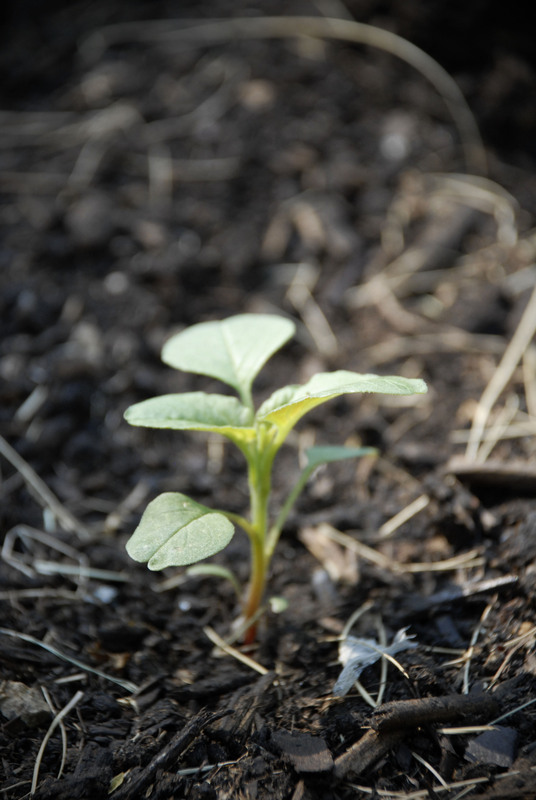 I’ve re-photographed my once-seedlings that have now grown into plants, that I can only hope are on their way to producing vegetables. 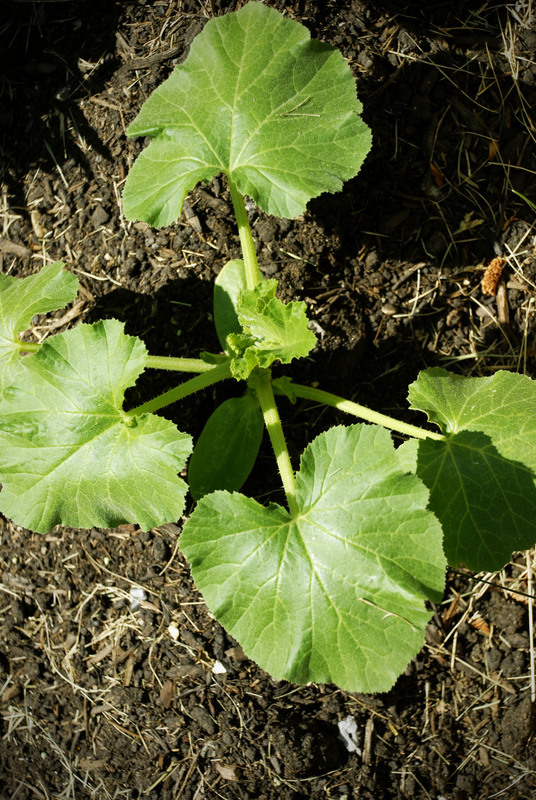 A line-up of 3 of the 4 pumpkin plants. There was a 5th, but I pulled it out so as to keep the others from becoming over-crowded. One of the four beets left. I suspect two more are on their way out. 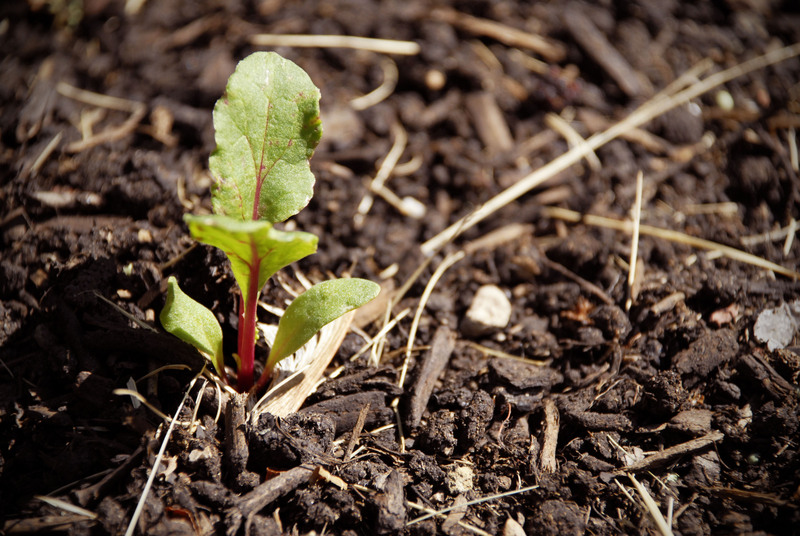 They seem to be turning dark and shriveling up where the plant hits the soil – resulting in a flopped over beet plant. Only one seems to be really thriving. 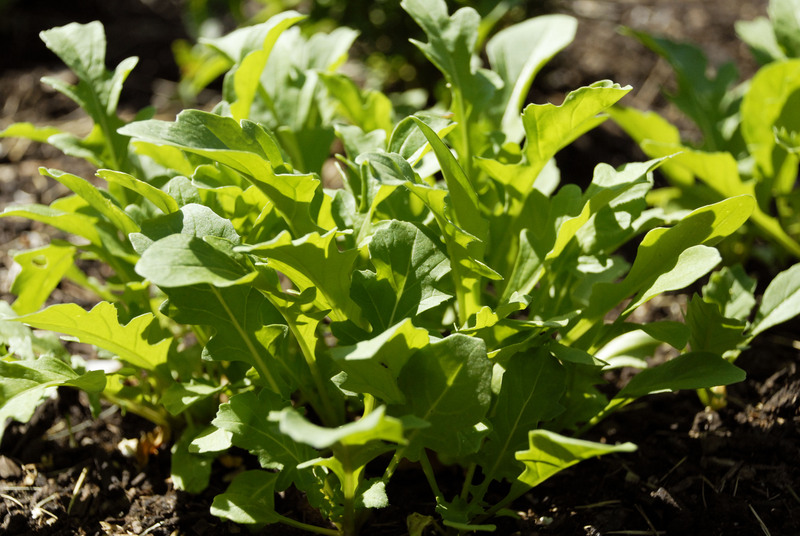 One of the several clusters of arugula. 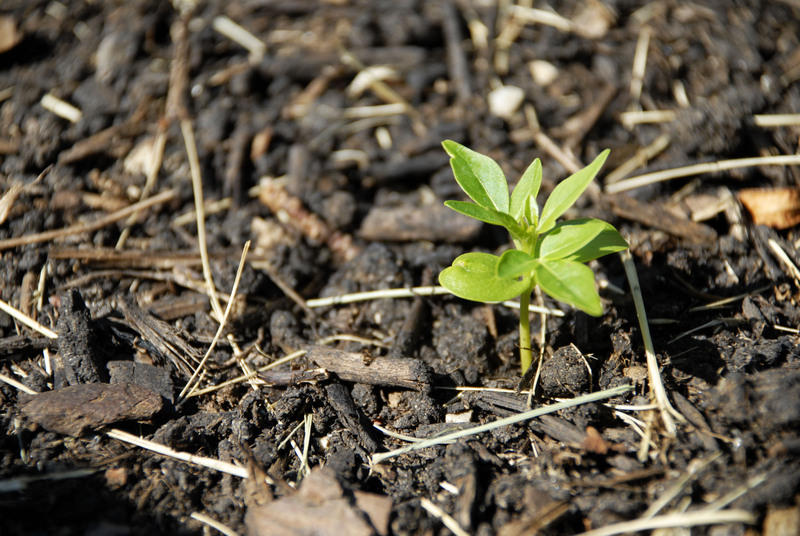 Technically I can start to eat the leaves at any point – I just need to get to them before they flower and dry up. The deep purple stem of one of the bean bushes. 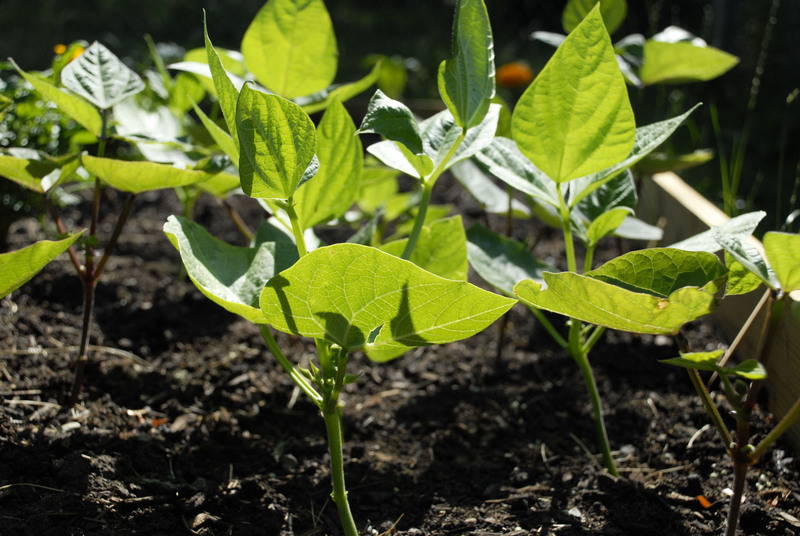 A small forest of bean plants – pretty much the only thing thriving on that side of the garden. While there are only two strawberry plants left, this is the only one that seems to be making something of itself. This might be lettuce, or a weed growing in the lettuce section. I can’t tell since it’s the only thing that has sprouted in that area. I’m going to let it continue to do it’s thing and keep an eye on it. It’s definitely a slow grower. I’d long since given up on the tangerine peppers when this sprout arrived. Just like the lettuce, I’m letting it do it’s thing, though I’m slightly more suspicious of this newcomer since I saw something similar to it hanging out in the beets section (that I promptly pulled up since it didn’t belong there). My bell pepper plants have resurrected themselves and are doing a much better job at holding themselves up and not wilting over. 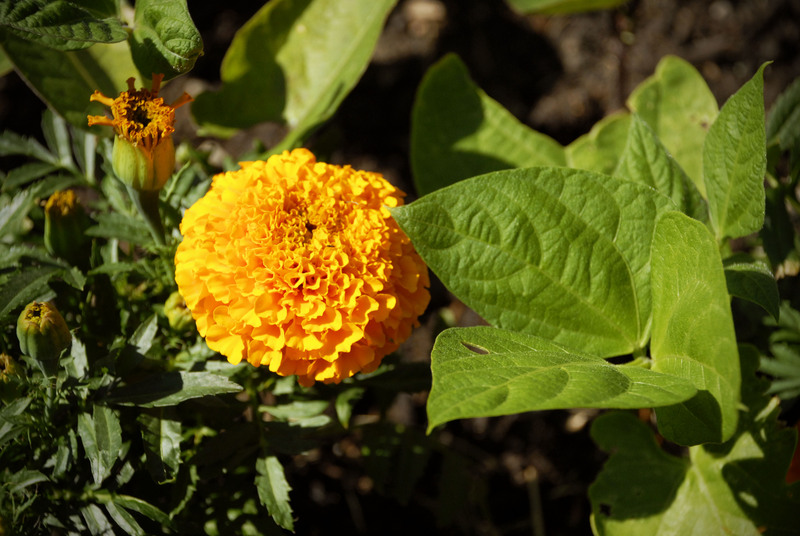 After dead-heading my marigolds, they’ve come back as stunners, big and beautiful. They seem to be doing a good job at keeping unwanted visitors away with their strong scent, as knock on wood, my plants have been relatively left alone. 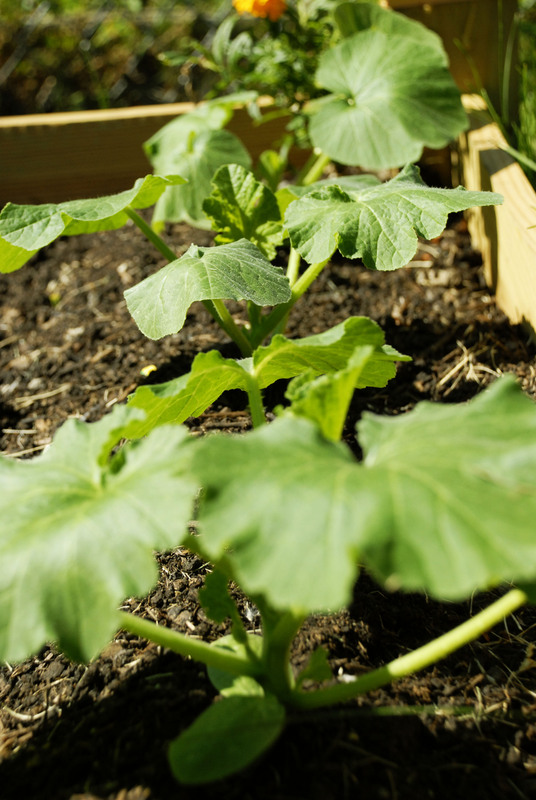 Pumpkins are growing amazingly well – I’m feeling incredibly optimistic about their future success. Beets are holding on for dear life – I don’t anticipate having anything big enough to eat coming from them. This might be their last year in my vegetable garden for a few years (you may recall, I tried beets last year with no success as well). Green onions still just look like grass. They smell like onions, so I’m letting them do their thing, and I think they have a long growth period, so it’s too soon to call. Arugula is doing as well as I expected it to do since I was able to grow it successfully last year. Perhaps next year I’ll devote even more of my garden space to it. Lettuce bombed. There might be one lettuce plant growing, but that’s a big maybe. Basil never even came to the party. 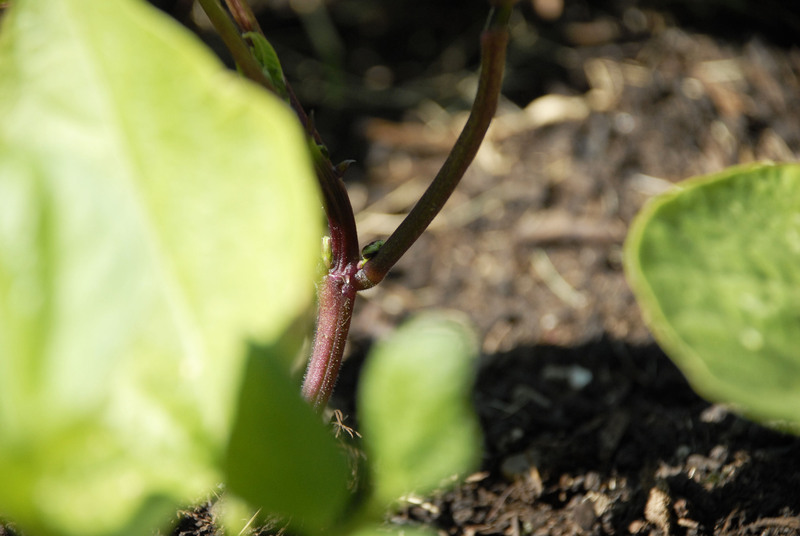 The beans are rocking out – I’m feeling good about their progress thus far and think that they might yield the largest harvest of anyone else in the garden this year. 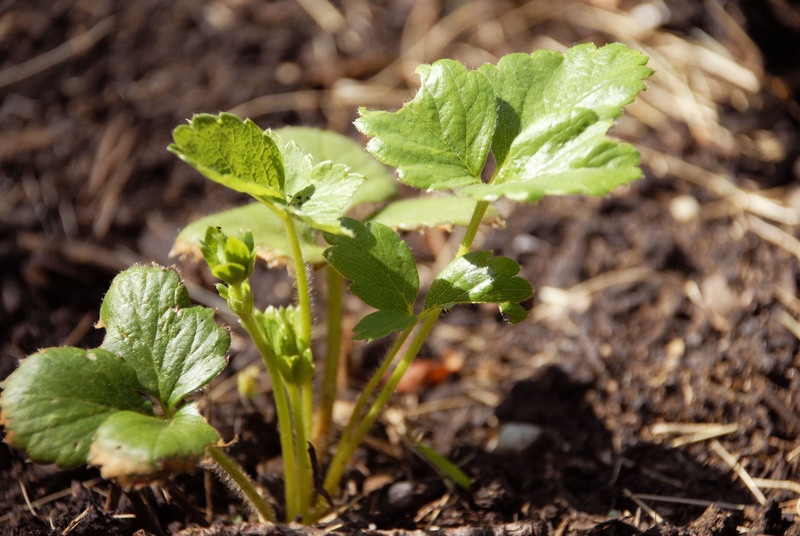 Of the nine dormant strawberry plants that I planted, I’ve got two left, and only one that I have any sort of hope for. I might try raspberries next year instead. The tangerine peppers never really showed up, sans the one possible plant that has sprouted in that section. Not holding my breath. The green peppers that arrived as plants a few weeks ago, and didn’t look promising at that time, are holding their own. I feel like it’s too soon to make a call on their impending success or failure. Well, not really. But for about 30 minutes on Saturday, it felt like it haha. 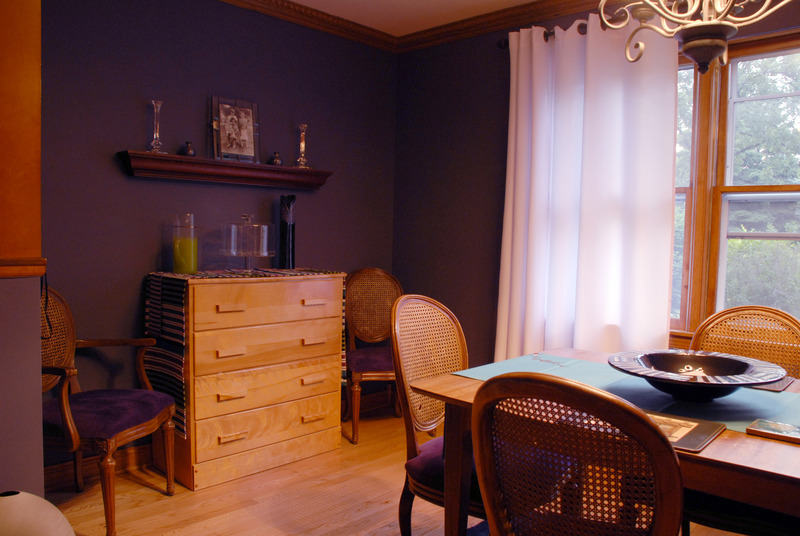 Helene had inquired if there was any organizing to be done at the house – so together we tackled the remainder of Studio255 and the hanging of all of my photo frames in the hallway. I’ll post some office photos in a near-future blog entry. Back to the hanging of the photos. 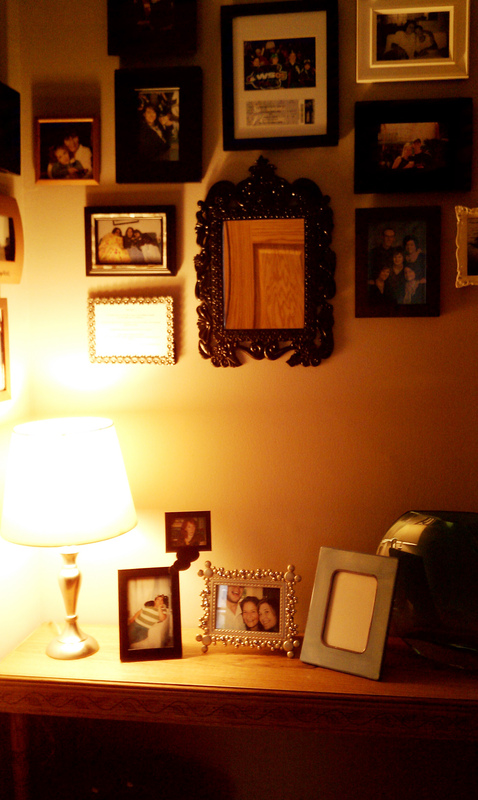 In both my apartment and my office in the Wilson house, I hung a “family photos” wall. The frames are things I’ve picked up along the way, or gifts that I’ve been given. The photos are of various friends and family, usually taken with film. To create the wall, I just start nailing. I know that sounds unorganized and like a recipe for disaster, but it’s always turned out nicely. I select one frame to hang up, and then the rest just fit into place organically around the first. As I obtain new frames, I just find a suitable place amongst the arrangement and up it goes. There’s really no rhyme or reason. Apparently, Helene and Tory have a different way of hanging frames, consisting of paper in the size of the frames and arrows indicating which way is up. This frustrated me to no end. I just could not wrap my brain around hanging up wall art in this manner. How was I to decide who would be hanging up next to each other? Or what frames looked nicest together? Helene hammering the frames to the walls. 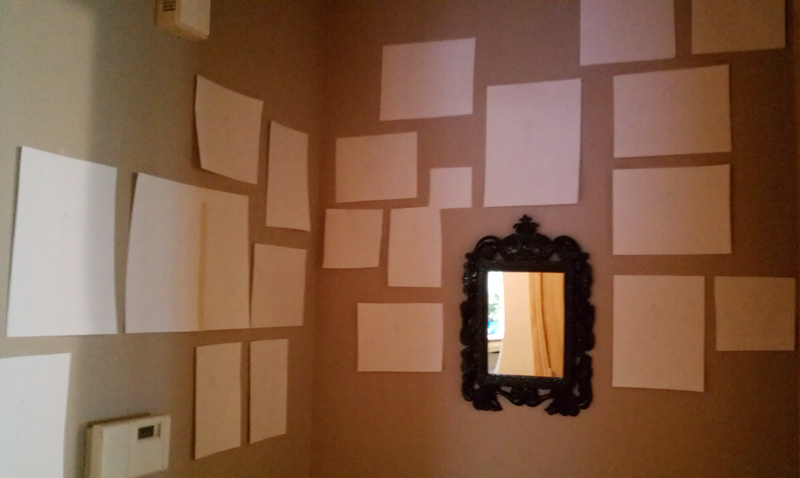 It took me quite some time to tape each piece of paper to the wall – I just don’t create this way, I’m a very visual person. 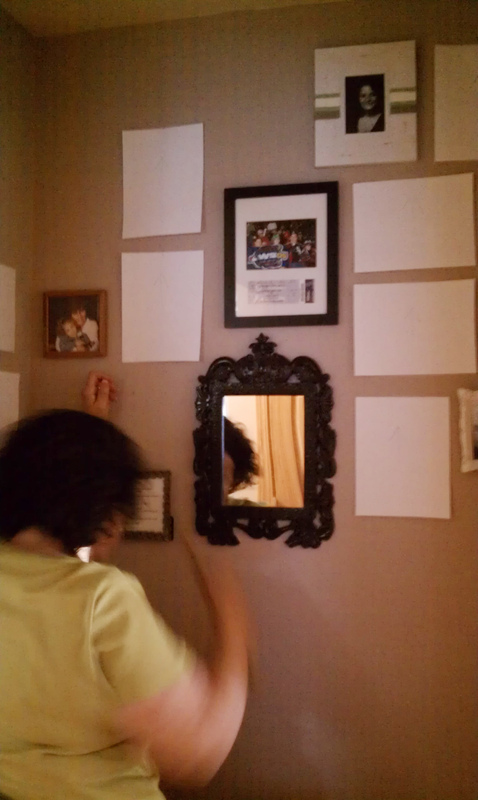 After I’d finally accomplished Helene’s task for me of taping the paper to the wall, we started hammering. Things slowed to a pause when one of the frames revealed that it wasn’t meant to be hung at all – which meant I had to move the paper. Insert many more minutes of me standing at the wall agonizing. Things continued to shift as the paper wasn’t 100% the same size as the frame that it represented. This was not selling me on the idea that this way of working makes any sense what-so-ever. But Helene was confident and persevered. 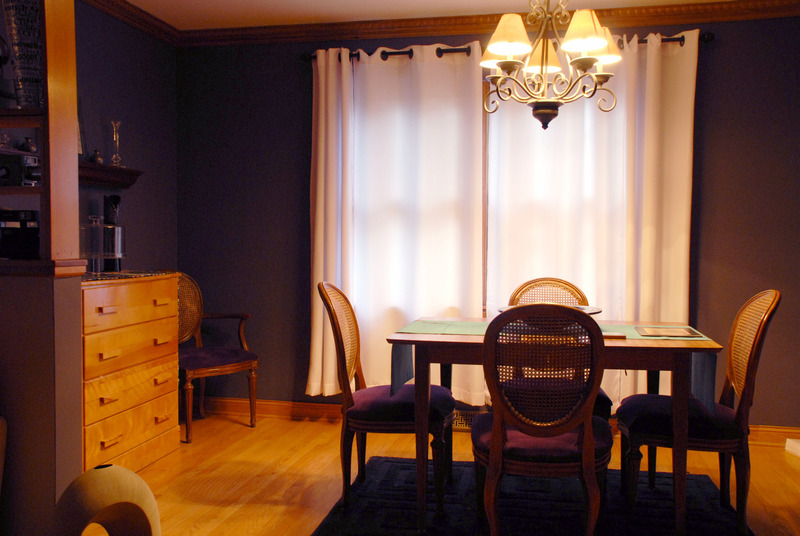 We then decided that the corner was too dark – so Helene brought over a lamp that was just sitting in a closet over at her house, and we called it a day. There are a few empty frames on the walls/tables, those will get filled in the coming weeks as I get more photos printed from the wedding and other such events. I’d like to put up photos of Mike’s friends and family (these are all of Mike/myself/my friends/my family because they’ve always been hung up in my rooms in my previous dwelling places and Mike doesn’t take photos of his friends and family, let alone actually get them printed). 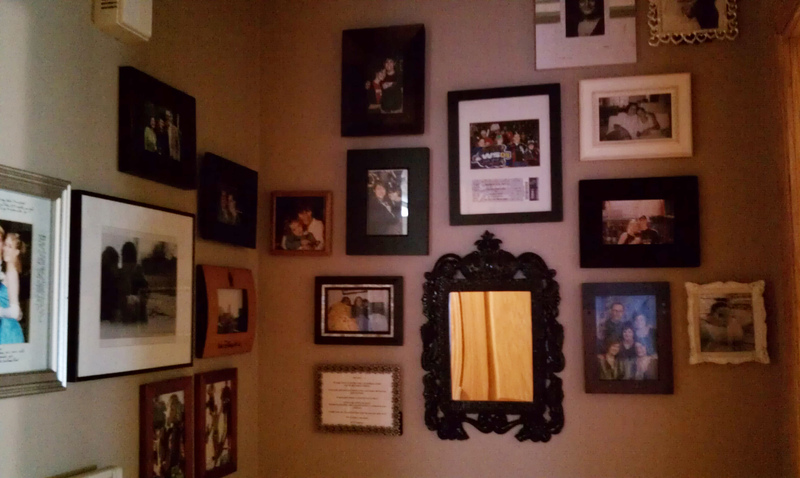 As I obtain new frames and new photos, the wall will continue to change and grow (without the help of any white paper). That’s the beauty of family photo walls. After an eventful morning of organizing, Helene and I decide it’s time to take a quick trip to Panara for lunch. Everything in the yard is as it should be. The flowers are semi-wilted, Momma Robin is in her nest, everything is quiet. Upon arriving back home Sydney let’s out a shriek. On the ground below the robin nest is a dead robin. But is it Momma Robin? Glancing upwards revealed Momma Robin (or an impostor) up in the nest. Helene suggests perhaps a fight to the death. Sydney estimates the time of death to be between 1:30pm and 2:30pm on Saturday, June 2nd. Momma Robin flies away from the nest. This was the last time Sydney saw Momma Robin in the nest. The nest is still empty. Helene sees Momma Robin fly away from the nest. 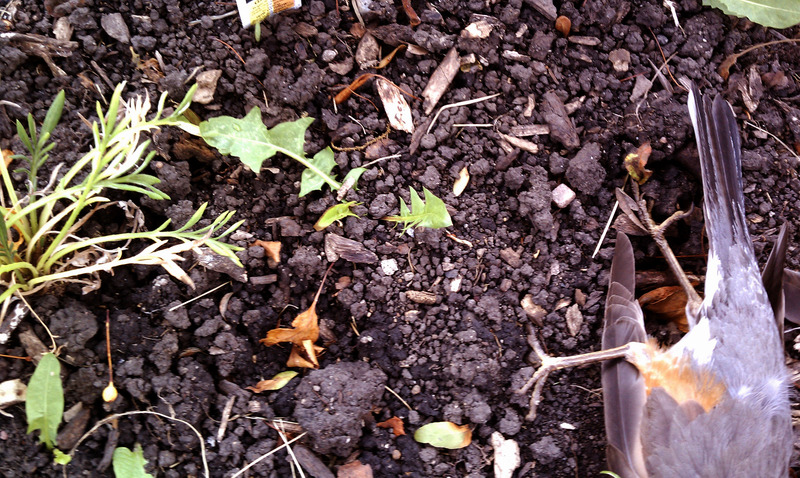 Sydney buries the deceased robin. The nest is still empty, but Sydney sees a robin circling – flying oddly. She wonders if perhaps it really was a fight to the death and Momma Robin is injured.